Home Conspiracies The JFK assassination, was it a conspiracy? The JFK assassination, was it a conspiracy? The JFK assassination – was it a conspiracy? On 22 November 1963, President John F. Kennedy was travelling in an open top limousine in a motorcade through the centre of Dallas, Texas. The actual assassination is captured on the infamous Zapruder film. 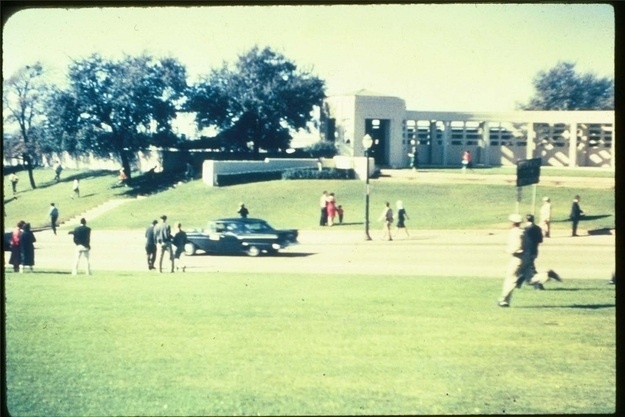 At about 12:30pm, when the motorcade was in Dealey Plaza several gunshots were fired. Kennedy was wounded in the back and the throat, and, fatally, in the head. one bullet hit him in the back, punctured his right lung, and then came out of the right side of his chest, shattering his right wrist; a fragment of a bullet was also embedded in his left thigh. A bystander, James Tague, received a slight cut on the cheek from the impact of a stray bullet that hit the curb near him. 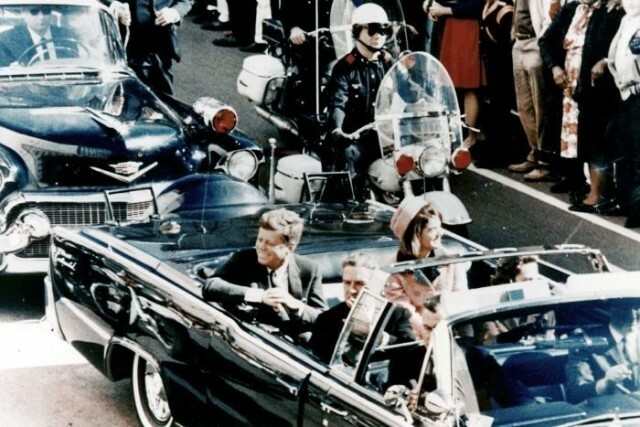 At the time of the shooting, the presidential limousine was heading west on Elm Street, and had just passed the Texas School Book Depository, which contained publishers’ offices and a book warehouse. A window was half open at the eastern end of the sixth floor of this building. Three empty bullet shells were discovered just inside this window. Elsewhere on the sixth floor, a rifle was discovered. Tests showed that those bullet shells had been fired from that rifle. The rifle had been purchased several months earlier by mail order. The name on the mail order coupon was a pseudonym known to have been used elsewhere by Lee Harvey Oswald. The handwriting on the coupon matched Oswald’s. The supplier had sent the rifle to a post office box rented by Oswald. Oswald worked in the Texas School Book Depository, and had legitimate access to the sixth floor. He claimed to have been elsewhere at the time of the shooting, but there were no eye–witnesses to support his alibi. On the face of it, it is case solved: Oswald did it. The only realistic alternative is that Oswald had been carefully framed in advance. But is that possible? And does any evidence suggest this? The Warren Commission, a board of inquest appointed by JFK’s successor Lyndon B. Johnson, produced a voluminous report to substantiate the official conclusion that Oswald had indeed killed Kennedy and acted alone. A 1979 US House Committee inquiry found Kennedy was “probably assassinated as a result of a conspiracy” and that there was a “high probability” a second gunman as well as Oswald fired at the president. Before his death in 2007, one of the Watergate burglars, former CIA Agent E. Howard Hunt, alleged Lyndon Johnson was involved in a conspiracy to kill Kennedy. So what are the possible conspiracy theories? The theory: Louie Steven Witt, who appears in the Zapruder film, used a black umbrella to signal either shooters planted in the book depository or the grassy knoll to orchestrate the assassination. Or, in more imaginative versions, he shot a poison dart concealed within the umbrella. The filmmaker Errol Morris also explored this theory in a mini-documentary for The New York Times. How likely is it? Even though he’s been mentioned in Oliver Stone’s JFK and The X-Files, Witt has said that he really had the umbrella to taunt JFK because he didn’t like the Kennedy family’s Nazi ties from World War II. It was all organized by Lyndon B. Johnson. The Theory: Lyndon B. Johnson orchestrated the entire assassination plot so that he could become president. The theory was corroborated by an alleged former mistress of Johnson’s, Madeleine Brown. How likely is it? According to historian Michael L. Kurtz, there is simply no evidence to support this. The theory: As vague as it is ominous, it’s often referenced as the “magic bullet” theory. 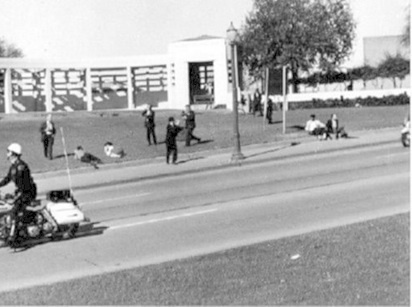 Essentially it’s that Oswald didn’t act alone and had a shooter planted across the street on a hill overlooking Kennedy’s motorcade. One reason this theory remains popular is because of a moment in the Zapruder film where Kennedy’s head seems to fall back in a different direction from where Oswald would have been shooting him from. How likely is it? There has been no evidence of a second shooter.